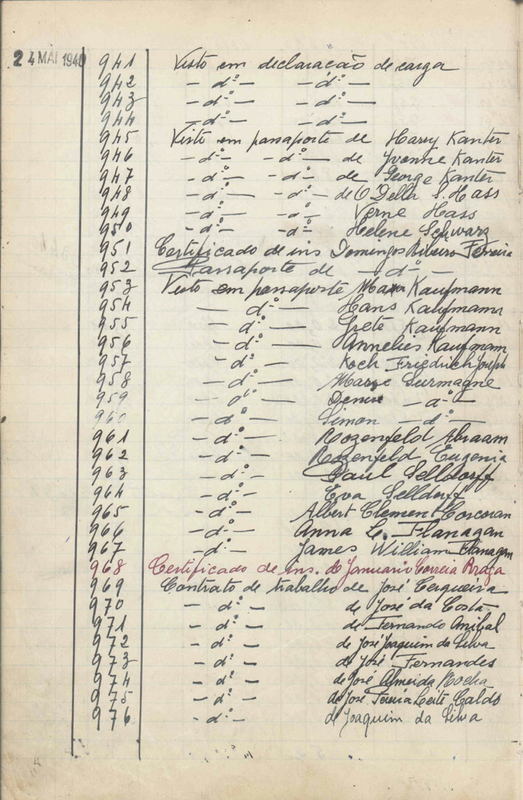 The KANTER family received visas from Aristides de Sousa Mendes in Bordeaux on May 24, 1940. Harry KANTER boarded the George Washington in Le Verdon, France and sailed to New York in June 1940. George KANTER crossed into Portugal and sailed on the Excalibur from Lisbon to New York in December 1940.